If possible, consider recessing speakers into your ceiling or walls. This eliminates any visible wires while providing a true ‘surround sound’ effect into the media room. Messing with the drywall to install recessed speakers isn’t always an option. If not, choose speakers in line with your media room’s style so they appear more like decorative accessories than technical equipment. These contemporary speaks have a sculptural look that fits with the room’s modern style. Design a small closet to hold all your media components, leaving your TV screen to star by itself without competing electronics. If a separate storage closet doesn’t work in your space, transform the cabinets of a built-in into a space to house your electronics. Ensure a long life for all electronics by using doors with screens or louvers to keep hot components aired and cool. Great seating can make or break a media room. The key is making sure everyone has an equally good view of the television. Today’s electronic recliners and wedge-shaped sectionals mean every seat is the best seat in the house. 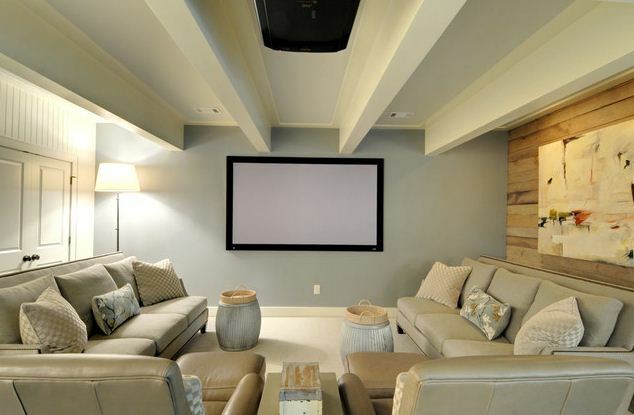 Consider all the hard and soft surfaces you want in your media room and how they will affect the quality of the sound. You can easily improve acoustics with a thick carpeting and soft fabric shades instead of hard blinds to help control the ‘echo. If you prefer not to cover up your beautiful hardwood floors with carpeting, consider at least outfitting your media room with an area rug to help with the acoustics. 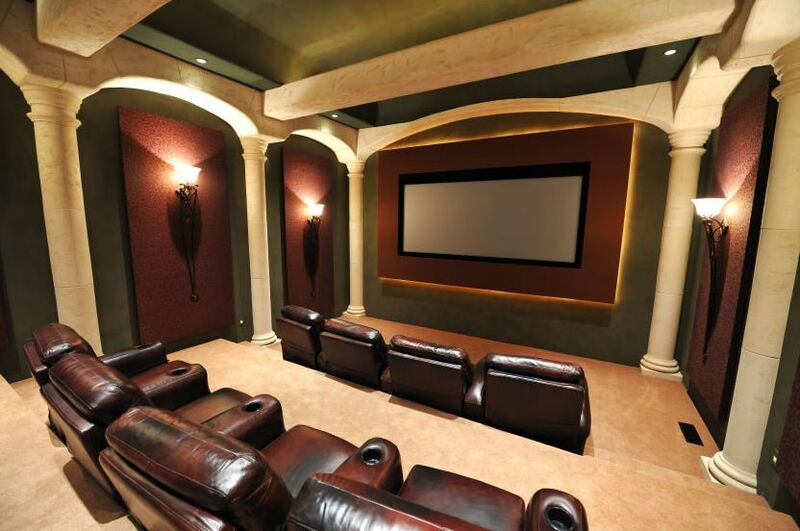 J Design group will help you building tour perfect media room or home theather. 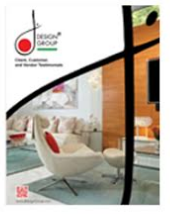 Our company is located in Coral Gables, Florida and you can reach us at (305) 444-4611 by phone, and by email at jdesigngroup@aol.com or visit us at 225 Malaga Avenue in Coral Gables, Miami Florida.